It's Earth Hour again, and once again Hello Kitty and I planned on participating in this global effort to raise awareness about doing something to help save our planet. After attending a cocktail event at La Rambla in IFC, I met up with Hello Kitty and rode the Star Ferry across Victoria Harbour to the waterfront. One by one, the commercial office buildings and hotels turned off their main lights and signage. Some were slower than others, and the Hong Kong Observation Wheel next to the Central Piers finally went dark about 10 minutes after Earth Hour started. 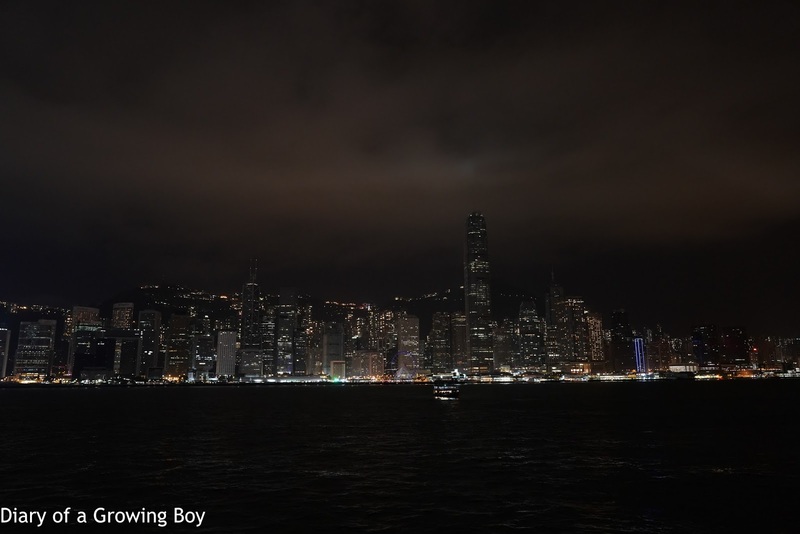 A darkened Hong Kong skyline is a rare sight indeed, considering how much light pollution there is normally. Many of the tourists who gathered here tonight were noticeably disappointed about not getting shots and/or selfies against the full light show that is Victoria Harbour. Some spoke of "wasted shots" while the lights were off. Those people clearly haven't heard about Earth Hour, yet. As usual there were some buildings or advertisers who stubbornly refused to turn off their lights. 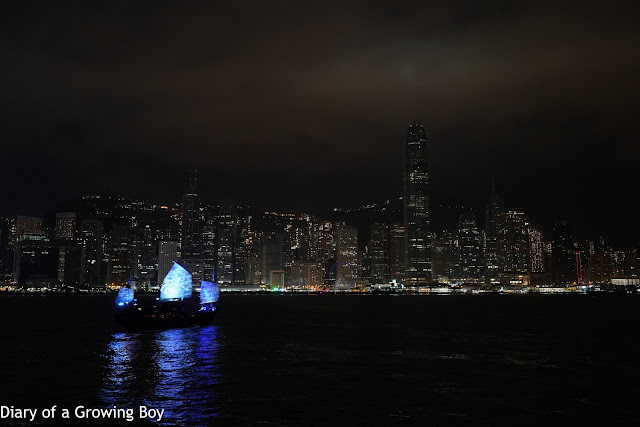 While everyone in Central and most people from Sheung Wan to Causeway Bay did, Hengda/Evergrade (中国恒大) kept their logo on their building lit, while Hong Kong Arts Centre, LG, and Cellars of National Treasure 1573 (囯窖1573) had their LED/neon signs on the whole time. And the two Aqua Luna junks also kept their sails brightly lit as they criss-crossed the harbor. Even an hour of less waste helps. absolutely! Every little bit helps.